Most writers are, by nature, a curious mix of confidence and insecurity. (My husband once described me as the most competent insecure person he knows. He might be onto something). Our confidence allows us to do the unthinkable: create worlds out of will and words. And our insecurities drive us to work hard at improving our writing. But they can also keep us up at night, wondering if we’re good enough. If we’re smart enough. If we’re just . . . enough. 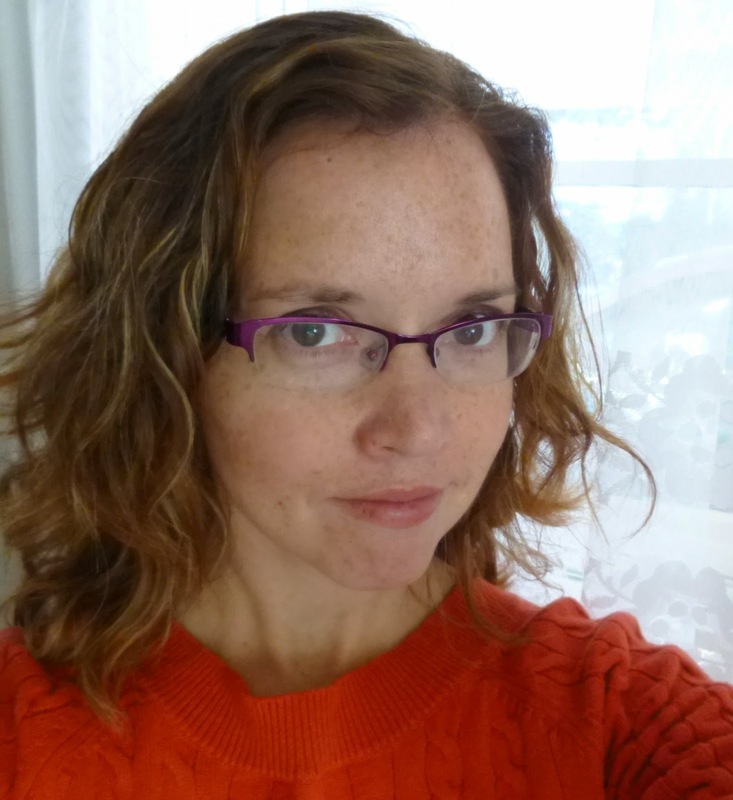 Anne LaMotte says, “Writing can be a pretty desperate endeavor, because it is about some of our deepest needs: our need to be visible, to be heard, our need to make sense of our lives, to wake up and grow and belong” (19). I don’t know about you, but I thrive on validation. Sometimes, as a writer, I get it. Sometimes my critique group loves a passage, and I glow. Sometimes an agent asks for more pages. Sometimes even an editor does. But sometimes, there’s nothing there but me and a blank page and I still have to find the courage to keep going. 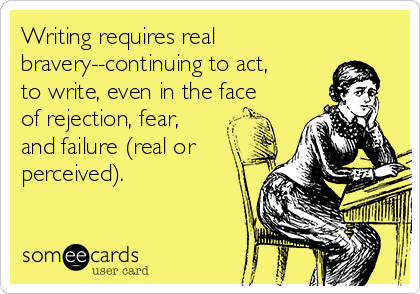 The more I do this writing thing, the more I find that it requires real bravery–continuing to act, to write, even in the face of rejection. In the face of fear. In the face of failure (real or perceived). So how, then, do we persist as writers when we doubt our own ability? In asking this question I’m speaking as much to myself as anyone reading this–I spend a lot of my writing life wrestling with this question. First, I think we have to recognize that writing isn’t a one shot deal. It’s not that you have talent or you don’t. Every writer has potential–it just takes work. What nobody tells people who are beginners–and I really wish someone had told this to me . . . is that all of us who do creative work, we get into it because we have good taste. But there is this gap. For the first couple years you make stuff, and it’s just not that good. It’s trying to be good, it has potential, but it’s not. But your taste, the thing that got you into this game, is still killer. And your taste is why your work disappoints you. A lot of people never get past this phase. They quit. Most people I know who do interesting, creative work went through years of this. We know our work doesn’t have this special thing that we want it to have. We all go through this. And if you are just starting out or you are still in this phase, you gotta know it’s normal and the most important thing you can do is do a lot of work . . .
Don’t let that gap between your ideal and your actual work stop you from writing. Second, try not to compare yourself to other writers. Easier said than done, I know. I find myself doing this all the time–validating my progress by how my story holds up to someone else’s. Beth Revis has a terrific post acknowledging the reality of writing envy. But in the long run it’s counter productive. It either makes me unlikeably smug, or bitter. It has never once made me happy. I also loved Glennon’s recent post on taming envy, where she argues that envy is really just a “giant flashing arrow pointing us towards our destiny.” We envy those who are doing what we want to do. Maybe instead of focusing on what others have, we can work a little more on claiming our destiny. Everyone’s journey is different–but no journey is less worthwhile for the detours. Sometimes they bring unexpected vistas. Third, remember no one else can tell your story. I know it gets said so much it feels cliché–but you have a story in you that no one else can tell. For me, writing isn’t just something I want to do. It’s something I’m compelled to do. Fourth, remember what you love about the act of writing. From Anne Lamott again: “I still encourage anyone who feels at all compelled to write to do so. I just try to warn people who hope to get published that publication is not all that it is cracked up to be. But writing is. Writing has so much to give, so much to teach, so many surprises . . . The act of writing turns out to be its own reward” (xxvi). Rosalyn Eves is a part-time writer, part-time English professor, and full-time mother of three. She loves all things BBC, especially costume dramas and mysteries. When not wrangling children (and sometimes when she should be wrangling children), she’s often found reading. She’s represented by Josh Adams of Adams Literary. ← I Wrote a Book…Now What? I loved reading this post. Your quotations are perfect and illustrate how we all feel about our work sometimes. I am about to start submitting my latest ms and bounce between bouts of confidence and insecurity. I think your husbands words could apply to me too! Brilliant post, Rosalyn! I think I need to put all these quotes up in my office. This is just what I needed to hear. Thank you!! This is so good Rosalyn, thanks!